If you’re like many Americans, your mortgage is the biggest bill you pay every month. Getting free of this debt burden would likely mean that you could free up thousands of dollars to go towards other expenses. With many Americans stuck in mortgages that have terms of thirty years or more, however, paying off your mortgage can be a lifelong challenge. If you’re at a loss on how to get your mortgage paid off faster, try these tricks. Split Your Bonus Checks. Odds are that you get money from sources beyond your salary. Income tax refunds, sales bonuses, and/or gifts are all extra sources of income that you probably haven’t accounted for in your budget. When you receive money like this, reserve half of it to pay down your mortgage. Using only a portion of the money will make it seem like you’re not depriving yourself when extra funds come in. For many people, this can help them to make the equivalent of one extra mortgage payment a year, which can reduce your total payoff time by three to seven years. Look for Ways to Earn Extra Funds. If you can’t find the time for a full-time second job, then at least look for opportunities to earn extra money. Consider signing up for a ride-sharing service and carpooling with others on your commute to work to make a few extra dollars every week. You might also want to consider taking online surveys or work from home jobs that can be completed while you watch TV in the evenings. Use the extra money to pay down the principal on your debt. Redirect your Funds. If you’re working on paying off other types of debts such as credit cards and student loans, redirect a portion of your old payment towards your mortgage whenever you pay off a loan. Even if you apply just 35% of your former loan payment, you’ll swiftly be paying several hundred dollars more each month on your mortgage. Make Minor Lifestyle Cuts. While it can be hard to make drastic lifestyle changes such as going down to one car or cutting all family vacations, most people find it’s fairly easy to look for small ways to save money. Reduce your use of electricity, start using coupons when you grocery shop, and consider cutting back on eating out. Use the money you save to pay down the principal on your home loan. Redirect Your Investments. If you have several accounts that aren’t doing too well and/or are costing you a lot in fees, you might want to consider cashing them out and paying down your mortgage. Be careful to consider the tax implications of this. Increase your Credit Score. As you pay off your debt, you’ll probably see an increase in your credit score. If you bought your house when your credit wasn’t so high, you’ll likely qualify for a better rate as your score increases. This is also true for any credit cards and auto loans you took out during this time. Even if you’re not ready to refinance your mortgage, consider refinancing your other debts, then using the money you save each month to pay down your mortgage. It may take a lot of time on the phone, but you will be able to save thousands of dollars over the life of your loans. Look at your Mortgage Fees. You might be paying hundreds of dollars every month for things such as mortgage life insurance and PMI. If you have enough equity in your home, talk to your lender about canceling these charges. If they won’t work with you, consider your refinancing your loan with another lender that is willing to drop these charges. Review your Taxes and Insurance. Apart from your actual loan payments, your property taxes and homeowner’s insurance make up a big part of your bill. Contact your local property appraiser’s office and make sure that they have your most up-to-date information about your property. Then do the same with your insurance agent. Ask about what you can do to lower your rates. Refinance your Loan. If you have a high-interest rate and/or equity in your property, then you need to look at refinancing your home loan. 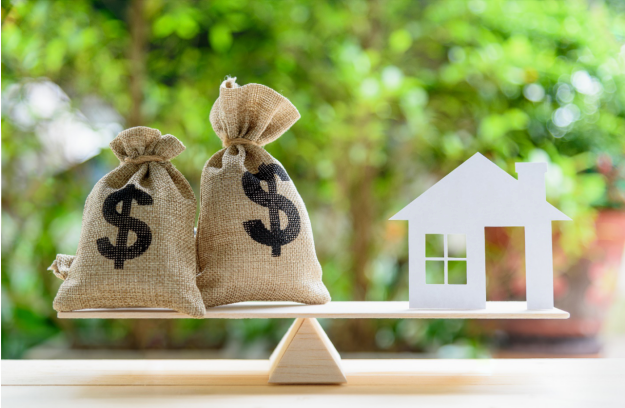 Interest rates are at the lowest point they’ve been in several decades, making now an ideal time to refinance if you haven’t looked into this option for several years. Depending on your goals, ask about getting a lower monthly payment with a lower interest rate and/or a longer payment term. It may be possible to knock several hundred dollars off the total cost of your monthly payment.